Nepali Prime Minister K.P. Sharma Oli (Oli) is visiting China from June 19 to 24, his first to China after re-election in February. What’s his take on the cooperation between China and Nepal? What does he think of Nepal’s relations with China and India? Global Times (GT) correspondent Chen Jianyang talked with Prime Minister Oli on these issues in an interview. GT: On December 11, 2017, an article headlined “Nepal Lists to the Left” in Indian Today wrote, “India is not pleased with the emergence of the Left Alliance. The UML leader and probable next Prime Minister, K.P. Oli, was previously a close ally of New Delhi, but their agendas diverged when he was prime minister in 2015-16.” Is this article correct? Oli: I do not want to go after one media commentary or the other. Media write many things – some true, some partially true and some completely untrue. One needs to understand that the idea of left unity is not new. For years, people of Nepal have desired to see a strong and united left force that could win the elections and provide just and stable government and deliver development. This could not happen in the past and left votes used to be divided. This time, we were facing a crucial moment in the country’s history. Following the historic promulgation of the Constitution, we wanted to leave behind years of long and painful political transition that was costly and detrimental to the country’s development, not embark into another era of transitional politics in which governments would be perpetually weak and every New Year would see a new government. This historic national need solely motivated us to forge the Left Alliance before the election and ultimately merger of the two major left parties. This monumental development in Nepal’s political history would receive due justice if it is seen as absolutely emerging out of our national need rather than unnecessarily being linked to externalities. Since the formation of our government, we have intensified engagements with both our neighbors. In this short span of time, there have been exchanges of prime ministerial visits between Nepal and India and I now visit China. We have made it clear that we pursue an independent foreign policy and a balanced outlook in the conduct of international relations based on the observance of such fundamental principles as equality, justice, mutual respect and benefit as well as non-interference. In foreign policy conduct, our two neighbors naturally receive top priority and with both of them, our relations are broad, comprehensive and multi-faceted. GT: Is Nepal the “land of the competition” or “bridge of cooperation” for China and India? Oli: Nepal has remained a sovereign and independent nation throughout history and has never deviated from its well-pronounced foreign policy dictum of “friendship toward all and enmity toward none.” We are firmly committed to not allowing our territory to be used against the sovereign interests of our neighbors. We have the resolve to maintain this and we naturally expect similar assurance from our neighbors. Given this policy percept that guides us and given the level of goodwill and sense of solidarity both our neighbors and their people have toward Nepal, I see a good prospect of cooperation among our three countries. Nepal’s developmental needs are immense and we can materialize our dreams for growth and prosperity only through meaningful and mutually beneficial economic partnership with both our neighbors. Fortunately for us, both our neighbors are rising in global stature and making tremendous progress in every area of development. They are in a position to support Nepal in its developmental journey. We believe that Nepal can serve as a bridge between our two neighbors. In fact, we want to move from the state of a land-locked to a land-linked country through the development of adequate cross border connectivity. Our friendship with both neighbors places us in an advantageous position to realize this goal. GT: What do you think is the significance of China’s socialist road with Chinese characteristics for Nepal’s development goals? Oli: China’s unprecedented progress and spectacular achievements have astonished the world. China has chosen a development path that suits its needs and conditions. China’s socialist path has shown a successful model of development informed by its own realities and characteristics. As a close neighbor with a long history of friendship and cooperation, we have always admired what China has been able to achieve in many fields over the years. We can learn lessons from China’s impressive performance, its progress and prosperity as well as its contribution to building overall national strength. We believe that “one-size-fits-all” approach cannot address all the problems rooted in different social, economic and cultural contexts. A progressive and socialist movement will have to be developed indigenously. Mere imitation of development models without taking into consideration the country’s specific situations and ground realities will not provide a desired outcome. It will not be successful. So, ground realities dictate development path and objectives of any country. 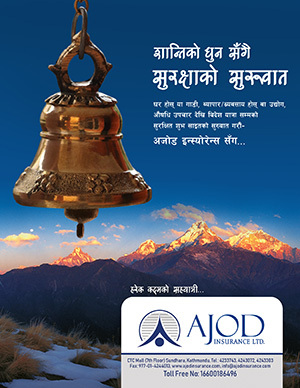 Our goal is to develop socialism with Nepali attributes. Our constitution already provides guidance toward this end. Ours is a socialism-oriented federal democratic republic state. GT: How do you evaluate the current international communist movement? What contribution can the Communist Party of Nepal make to it? Oli: At present, the international communist movement is gaining ground in some countries, but also losing ground in other parts of the world. It is a matter of delight that the communist movement of Nepal is progressing in a satisfactory manner. As an endogenous and independent movement, we are contributing to enhance the image of the international communist movement. We have developed and implemented a new political-ideological line and practiced it successfully. There may be different reasons for the failures of the communist movements in different countries, but inappropriate policy decisions are certainly among them. Thus, as an emerging and successful example, our experience demands that there should be a serious discussion on the question of social change, social management, the changing global context and contemporary times. GT: How do you see China’s Belt and Road initiative (BRI)? Oli: This is an important initiative launched by President Xi Jinping with the aim of promoting connectivity and cooperation among the countries in the region and beyond. He has outlined a vision of community of shared destiny. We believe that BRI should be beneficial to all the participating countries. Nepal wants to benefit from the Initiative and at the same time, works for the benefit of the international community. GT: Nepal has reportedly cancelled the contract for the construction of the second-largest hydropower project with China Three Gorges Coporation after the cancellation of the cooperation with Gezhouba Group to build the largest hydropower project in Nepal last year. Are these reports true? Are these decisions influenced by external forces? Oli: The present government of Nepal does not work under any external influence or pressure. We pursue an independent foreign policy and exercise autonomy in making decisions that affect us. We do not compromise on our sovereignty and independence. West Seti hydropower project is under consideration by Investment Board of Nepal. No decision has been taken yet. A task force is working to make recommendations to the Board. It will come out with appropriate suggestions on the viability of the project. It may take some time. Statements from the Investment Board of Nepal and the Ministry of Finance have already clarified the position of the government of Nepal on this matter. So, the deal has not been cancelled. West Seti is our national priority project and our decision on its execution is absolutely guided by the considerations of what is best in our national interest. Such decisions are never guided by external factors. I would like to reiterate here that this government pursues an independent foreign policy and is capable of making informed decisions on what is good for the country. So, we must be careful about misleading media reports. Nepal and China could work together for the development of hydropower in Nepal. Chinese companies have acquired enough experience in this field through their involvement in overseas power generation projects. GT: What do you think of the prospects of cooperation between China and Nepal? In what areas can we further strengthen cooperation? Is it possible that China’s Qinghai-Tibet Railway extend into Nepal? Oli: There is a very good prospect for expanding cooperation between Nepal and China. After the settlement of political issues, socio-economic transformation is our key agenda ahead. Development cannot take place without investment in vital infrastructure and productive sectors. Connectivity remains at the core of economic prosperity. Here, our friendly neighbor, China, can help us a lot. China has both resources and capacity to help Nepal achieve her development goals. What we need is to develop a framework of partnership to promote collaboration and cooperation for mutual benefit. For us, development of infrastructure, road and railway networks, agriculture, energy, transmission lines, expansion of trade, promotion of tourism, education, human resources development and health and information technology are priority sectors and we believe that bilateral cooperation between our two countries in these sectors would be beneficial for us. Hydropower offers a promising hope for transforming our development landscape. We invite Chinese investment in this and many other productive sectors. Cross-border connectivity is our top priority. Both sides have discussed developing a multidimensional trans-Himalayan connectivity network. This will enhance overall connectivity between our two countries. Our two countries are working seriously to establish cross-border railway connectivity. Kerung-Rasuwagadhi-Kathmandu-Pokhara-Lumbini railway project has received priority in our partnership. I am expecting a positive outcome on this during my visit. Once established, this will herald a new era of connectivity between the two countries, opening up vast opportunities for trade, investment, tourism and people-to-people relations.